The CRP-10751 is one of our most popular doors. Featuring a delicate bead on the inside frame bead, it provides a clean-lined look while still offering a subtle design element. 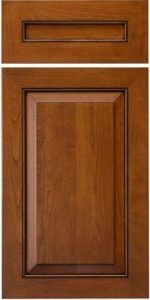 While NOT available in INSET cabinets, we do offer a Mortise and Tenon version of this design that is available for inset cabinets.